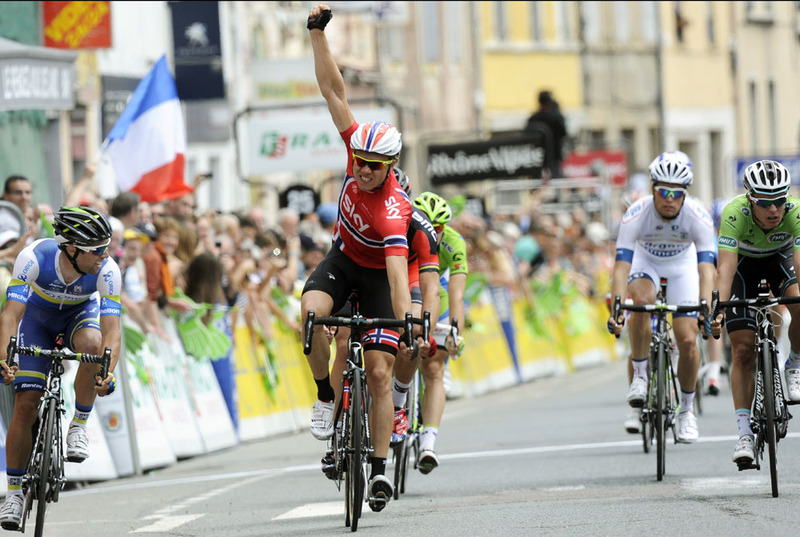 Edvald Boasson Hagen (Sky) won stage three of the Critérium du Dauphiné in Tarare on Tuesday. The Norwegian sprinted clear of Michael Matthews (Orica-GreenEdge) and Gianni Meersman (Omega Pharma) to take the victory. Stage one winner David Veilleux (Europcar) finished in the bunch to maintain his overall lead in the race ahead of Meersman, at one minute and 56 seconds. Tony Gallopin (RadioShack) is third at 1-57. An escape group formed up from the gun, with Sander Cordeel (Lotto-Belisol), Fumiyuki Beppu (Orica-GreenEdge), Jacob Rathe (Garmin-Sharp) and Juan Antonio Flecha (Vacansoleil-DCM) forging a gap over the bunch that hovered around the five-minute mark until they hit the first of the day’s two categorised climbs – the Col des Echarmeaux. Omega Pharma-QuickStep and FDJ moved to the front of the peloton to wind up the pace and bring down the time gap significantly with a bunch sprint finish in mind. Cordeel was the last rider of the break to get caught, with 13km to go and on the final categorised climb of the day, Col des Sauvages. 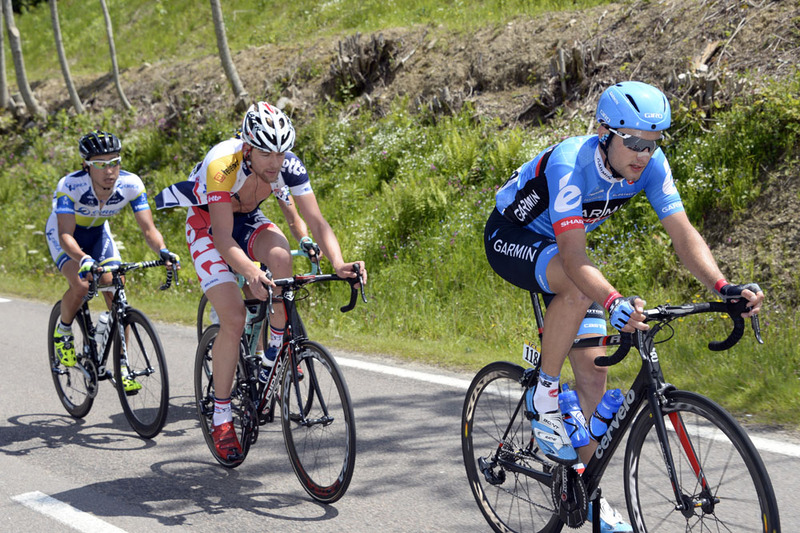 First Laurent Didier (RadioShack) and then Bart De Clercq (Lotto-Belisol) attacked before the summit. Didier was quickly re-absorbed by the peloton, but De Clercq pressed on over the summit and on to the descent to the finish. 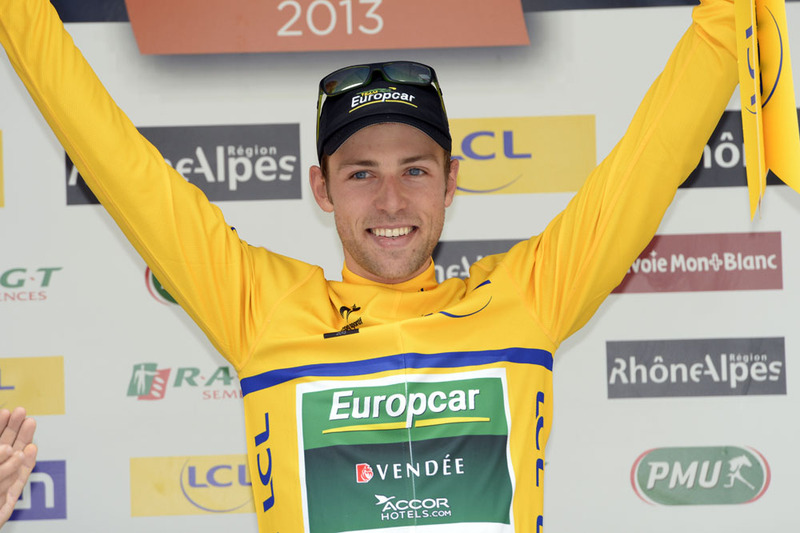 The Belgian was eventually caught just before the final kilometre. Geraint Thomas then took charge of peloton pace-setting for Sky, and gave a solid lead-out to Boasson Hagen who powered to the line to take the win. Tomorrow is the first stage for the overall contenders to really show their hand: a pan-flat 32.5km individual time trial from Villars-les-Dombes to Parc des Oiseaux. Last year, Bradley Wiggins won the Dauphiné’s long individual test against the clock ahead of Tony Martin (Omega Pharma). Froome placed sixth. With Wiggins not present, and a question mark over Martin’s health and form, it will be down to Froome to stamp his authority on the race.